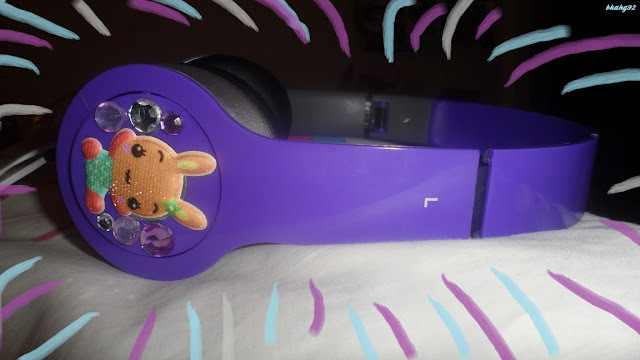 So I bought these new headphones from Kmart for $12 and it looked plain so I decided to jazz it up a bit! Kekeke. Simply use your stickers & faux jewels~! You can get them at any dollar store or crafts store. 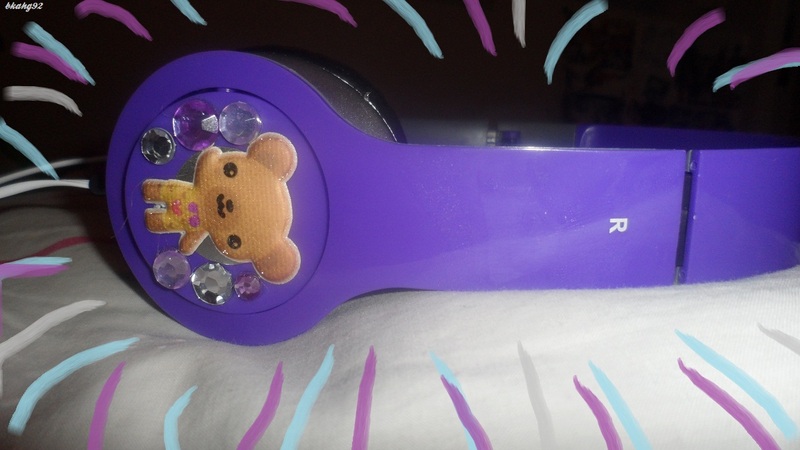 They kind of look like beats by dre! Someone even asked me hehe. I wish they were :P They also come in other colours like black, pink.. And they are foldable which I found different. The sound quality is good, I do wish it had more of a dynamic bass. But for the price this is worth it. I've dropped it a few times & its survived so it passes the drop test keke! Which do you like better? The teddy or bunny? Wow! it's very pretty. but i Purchase Ear Muffs from Powermuff.com.It's good and quality earmuff store.